Hello, hello! I have something for you other than a Halloween tutorial! Shocked?? Me too. 😉 Today I am sharing the Honey Lime Chicken Enchiladas of one of my best best best friends in the whole world, Jessica Haslam. That girl loves food as much as I do, so I always know that any restaurant she recommends or recipe she passes along is sure to be out-of-this-world good. This recipe is no exception to that rule! I was invited by Sarah from Becoming Martha to join in her easy weeknight meal idea blog hop, and this recipe immediately sprang to mind. I have been meaning to share it with you anyway, and this gave me an excuse to make it for my family. I also made it for a friend who just had a baby, and her husband said, and I quote, “I want to eat that stuff until I get sick!” I’d call that a success! 🙂 Let’s take a look at how simple the process is, and then I will give you the exact ingredient measurements and you can check out all of the other simple weeknight dinner recipes being shared in this blog hop. You are going to start by shredding chicken and marinating it in a mixture of spices, lime juice, and honey. Yummmmm. 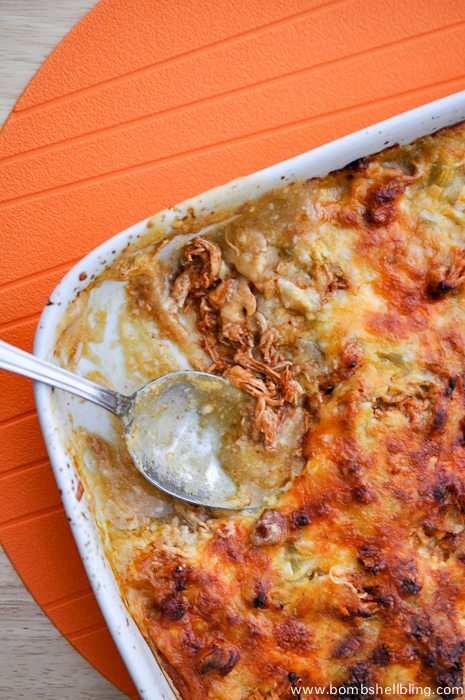 Grab a large can of green enchilada sauce and pour just enough into a (lightly greased) baking dish to cover the bottom. Top the enchilada sauce with corn tortillas. Mix together honey, lime juice, chili powder, and garlic powder in a medium sized bowl. 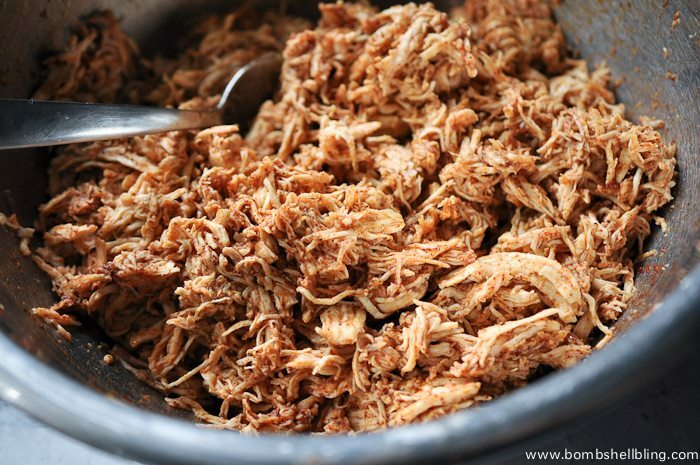 Add the shredded chicken to the bowl and stir it until all of the chicken is covered. Cover and allow the sauce to soak into the meat for about 30 minutes. Lightly spray 9x13 baking dish with PAM. 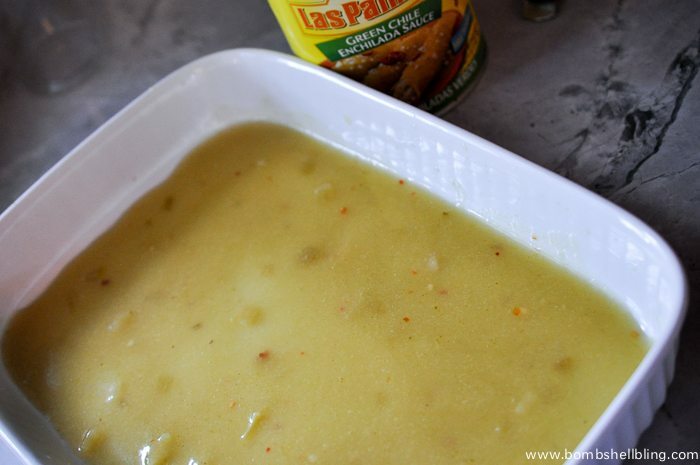 Pour enough green enchilada sauce to cover the bottom of the dish. 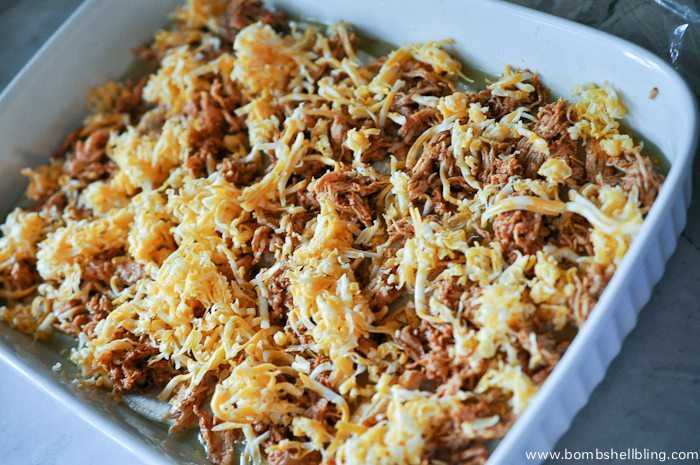 Top the tortillas with half of the meat mixture, then cover that layer with cheese. Layer another six tortillas and cover with some enchilada sauce and the rest of the meat. Sprinkle cheese on top. 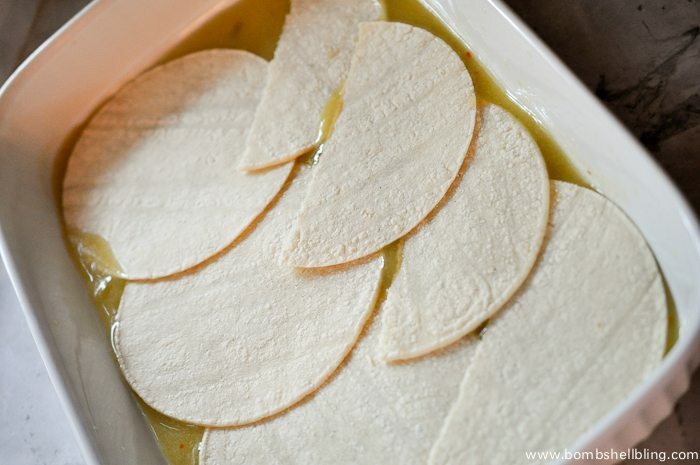 Layer last six tortillas on top and cover with the remaining sauce and cheese. Be generous with the cheese. Now let’s take a look at the other fun recipes you can check out today! 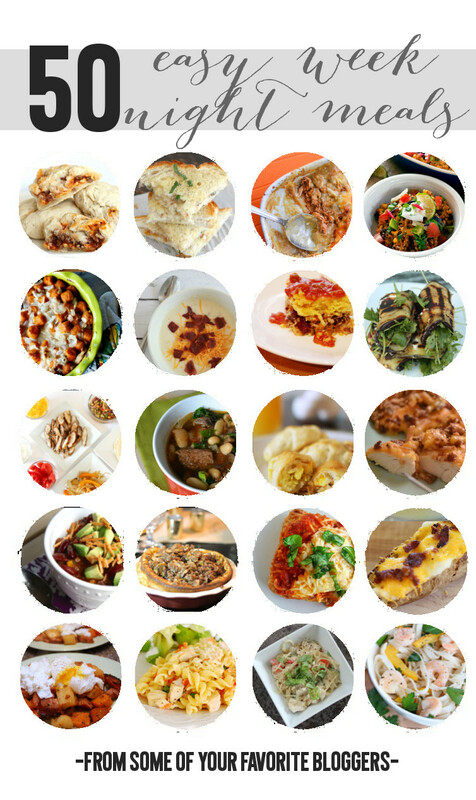 They all look amazing – can’t wait to try some of them in the near future! « Halloween Hair Accessories . . . in a Hurry! 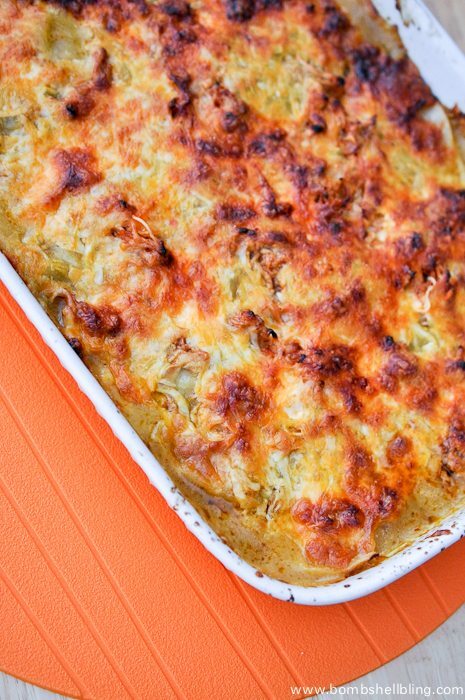 I’m pinning this recipe! Man, does that sound good! cool recipe. Thanks for joining the small Victories Sunday Linkup. Please join again. Pinned to the group board.